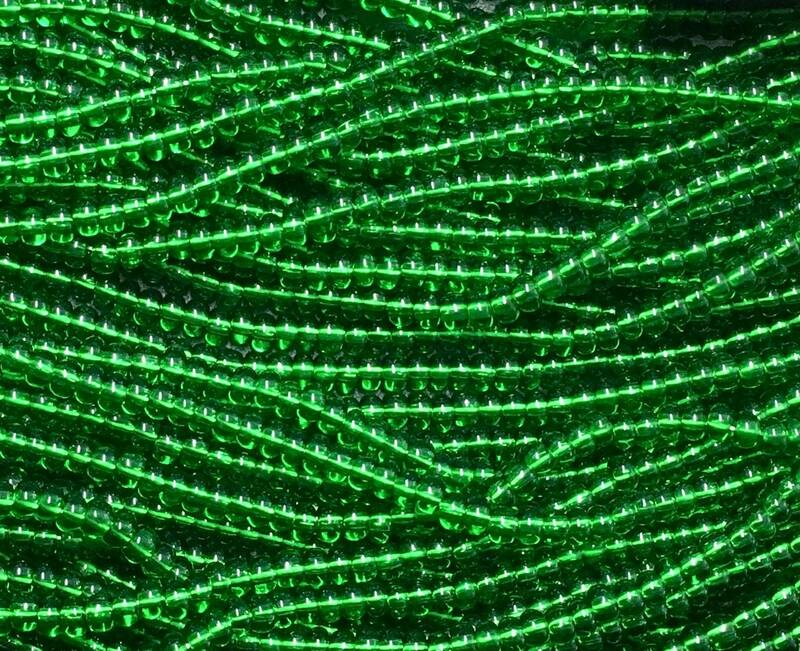 Transparent Kelly Green 1/0 Czech glass seed beads. Size 1/0 beads measure between 6 and 6.5mm in diameter. There are about 5-6 beads per inch. You will receive one strand of beads (approx. 105 to 115 beads) - around 30 grams with a hole size of 2mm (hole size varies somewhat and could be a little less than 2mm). There are plenty of beads for your beading, knitting, crochet, macrame, fiber arts projects!